The Southwest Michigan Local Food Council is a collective of advocates that takes evidence-based actions toward the development of an equitable regional food system that values local farmers and entrepreneurs. Learn more about how the SWMI Local Food Council began and our team HERE. View Michigan State University Extension’s upcoming events HERE. 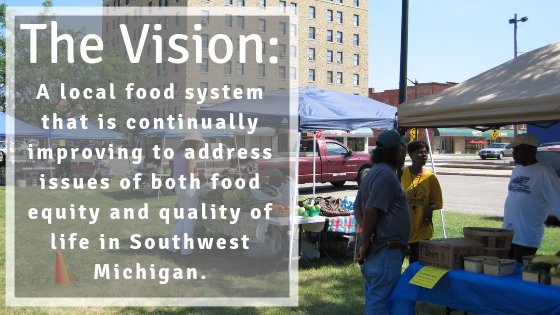 The Southwest Michigan Local Food Council is currently developing a strategic plan and creating projects to get more Local Food to Local People! Our region has a wide variety of great tastes to offer, so come explore all the good ways to eat well in Southwest Michigan and Eat Local Berrien! 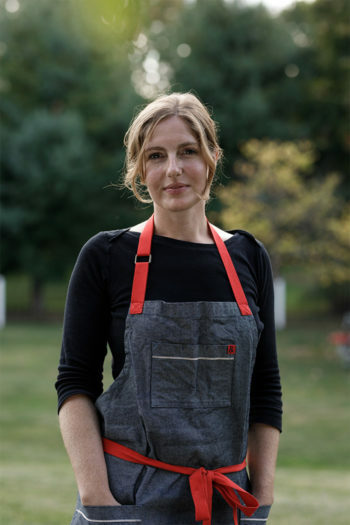 Click HERE to meet Abra Berens of Granor Farms! Be Healthy Berrien is funded in part by the Michigan Health and Wellness 4 x 4 Plan. The Strategic Plan has been created to provide you with the best available data, a detailed description of Be Healthy Berrien’s action plan, and to provide a method for reporting progress on each of the identified strategies. Much has been accomplished since the inception of the Berrien County obesity-reduction initiative in 2010. I encourage you to review the Background to learn about the creation of Be Healthy Berrien and the Milestones to see our accomplishments.